If you could take Nemesis down with a knife, you are my hero. 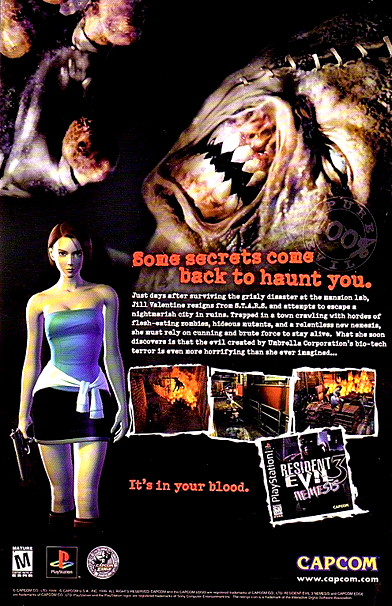 Resident Evil 3: Nemesis was the last game in the series to appear on the PlayStation. Most of the game was spent getting away from the hulking bioweapon Nemesis, who could appear at random moments and cause you serious harm with strong physical attacks and/or his rocket launcher.